Leave it to the always eloquent George Takei to make one of the most powerful statements about Election Day. On Monday night, the Star Trek legend and activist posted a heart-wrenching Facebook status summing up his feeling about the presidential election and encouraging his followers to show their support for Hillary Clinton. Discussing everything from his childhood in a Japanese internment camp to the discrimination he's experienced as a gay man to major movements in American history like Stonewall and Seneca Falls, Takei's post is as moving — and important — as it gets. "Many fans have written asking for some words of advice, solace, or perhaps even hope as we find ourselves here, the night before the election," Takei's post begins. The star has never been shy about voicing his opinions, political or otherwise; in 2015, for instance, he publicly denounced Donald Trump on MSNBC due to the candidate's comments on banning Muslims from the United States. So it's no surprise that he would choose to share his views on the 2016 election so close to the polls opening. At the start of the post, Takei recalls his family's time in an internment camp after Pearl Harbor, writing that despite the fact that Japanese Americans "came from a dark place" due to discrimination, they today "are a proud part of our national heritage," carrying "a bright torch" for their country. He then goes on to talk about the struggles he's faced as a gay, Japanese American man in America, including the inability, for many years, to get married to a white man because of anti-miscegenation laws. Today, he is happily married, and he doesn't take this opportunity for granted. "What once was the love that dare not speak its name can now shout itself freely from the chapel," Takei writes. The rest of the post is just as powerful, describing Takei's marches with Martin Luther King, Jr. for civil rights and his pride in seeing the first African American president being elected in 2008. 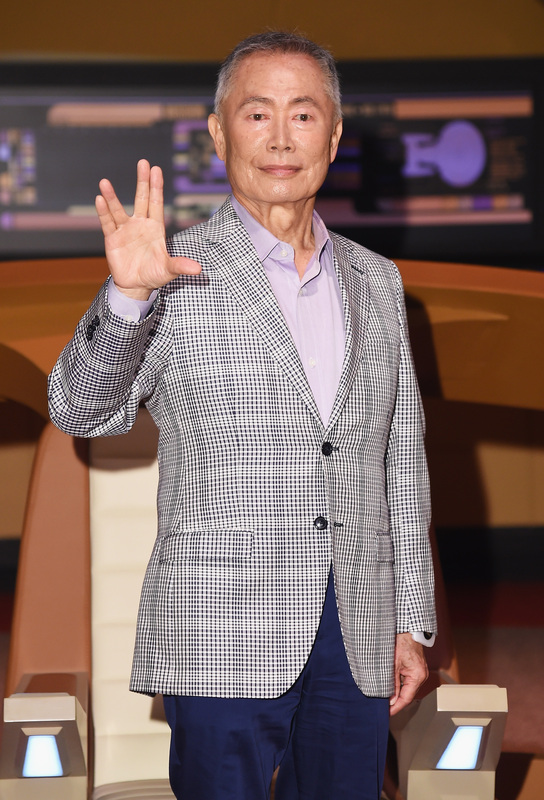 Despite its troubled history, Takei writes, America is a country of courage and progress, and that's why, he says, it's so crucial to vote for a candidate who supports those values in this election. "I cast my own vote with both an eye to our past, where we have already overcome so much, and an eye to our future, where so much promise remains," Takei writes. "We will vote, we will get through this. We will win." It's an incredibly moving post, and Takei's message should not go unheeded. It's our civic duty not only to vote in the 2016 election, but to vote with a conscience, fighting for the civil liberties and well-being of others. Takei's argument might stem from his own personal experience as a gay Japanese American, but regardless of your background, his post will certainly resonate. When going to the polls on Tuesday, don't forget to think about just how much is truly at stake, and what kind of America you want to see in your future.